About MeI grew up on a Peace River homestead, attended high school while staying in a dormitory in Fort St. John and went on to UBC to earn a B.A. and Teacher's + read more Certificate. I have worked, studied and travelled in Canada, Sri Lanka, India, Nepal, Europe, and the UK, serving as a volunteer in Sri Lanka with Canadian Crossroads International and as a group leader with Canada World Youth to Sri Lanka and India. I then earned a Diploma in Creative Writing from David Thompson University Centre in Nelson. Chanter Dans Le Noir (Les Editions de la Courte Echelle Inc.: 2012) Translated by Fanny Britt. 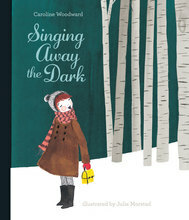 Singing Away the Dark (Simply Read Books: 2010) picture book for K-2 Illustrated by Julie Morstad. This book has also been published in Korean, French and Bulgarian and was re-issued in 2017 in a larger special format. Light Years was nominated for the Bill Duthie B.C. Booksellers Award in 2016. Speaking InformationI am comfortable with children of all ages and prefer interactive formats with opportunities for children to ask questions so classroom groups of thirty + read more students or less are ideal whereas a library or gym filled with two hundred students is a challenge for which a microphone is a vital accessory! 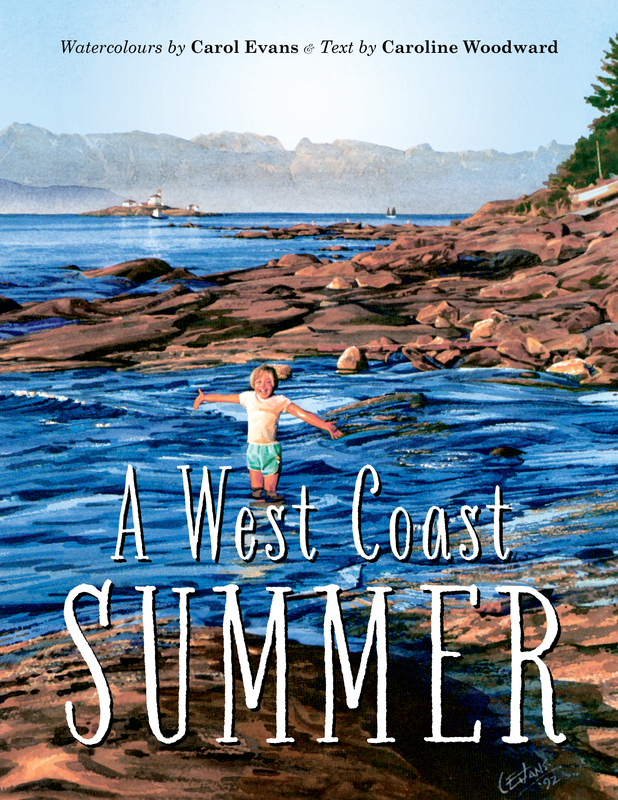 I have taught creative writing workshops since 1985 to people aged eight to eighty-eight, at venues as varied as the Kamloops Young Authors Conference, Elder Hostel and the Vancouver Island Children's Book Festival. I have different presentations: Fear & Imagination which I have props for, my "bag of fears" which accompanies my reading of Singing Away the Dark and I have a lighthouse slide show, thirty minutes long, which is a nature study and an exploration of an enduring coastal occupation. I've Skyped the Fear & Imagination workshop, with a short visual/musical piece, to classrooms in Edgewood, Nakusp and New Denver to reach six classes for their 2015 Rocking the Page Virtual Writing Festival and followed up by giving feedback to student writing by email. There are endless variations for writers reaching student writers and readers thanks to Skype. TestimonialsIt was a wonderful presentation. The children were very taken by your true story, "Singing Away the + read more Dark". They also enjoyed the many slides you had to share. April 2016 Show Less Please find enclosed our class letters! The kids really enjoyed your presentation, as you will see + read more in their writing! I really enjoyed your presentation also. It looks very lovely to be a lighthouse keeper, although I am sure it has its trying times as well. I would love to live on the ocean some day. I hope all is well with you. Thanks again for your visit! May 2016 Show Less Reviews by People That Really Matter: Grade 3 Kids from Cedar Elementary School on Vancouver Island + read more in 2014! Emmett: I liked how she showed us the stories she wrote. Olivier: I liked that she had so many hats. Sam: I liked the books. I liked all the titles. Hunter: I like how she made the books; they were really epic. Awards and Recognition:In June 2016, I was awarded an Honorary Associate of Arts Degree by Northern Lights College in + show more Dawson Creek, B.C. for my literary contributions to national and international literature, with my books, often with Peace River settings, for adults and children.